At BEC, we are working with our partners to create a major development plan that we believe will transform the waterfront and northern town gateway. North Shore brings together great places to eat and drink, vibrant start-up business incubators, a quality 4* hotel and modern offices overlooking the marina. And in line with our commitment to the environment, it will be a low carbon scheme that uses sustainable construction materials and methods. We’d like to turn this proposal into a reality and want you to be involved and informed right from the start. By regenerating neglected sites and improving public spaces, we hope to attract more visitors, strengthen the local economy, and improve the way the harbour area looks and how it is used. Together with Copeland Borough Council and the Whitehaven Harbour Commissioners, we’ll work with local partners and organisations to achieve our goals and are proud to play our part in what promises to be an exciting future for Whitehaven residents and businesses alike. To give North Shore the attention it deserves takes time and planning. Here’s when we hope to see our proposals come to life. that celebrates our past while building a better future. Bringing visiting businesspeople and tourists to the area with quality accommodation, our vision for a sustainable hotel will rejuvenate the Promenade. Boasting spectacular views across the marina as well as direct access to new pedestrian walkways and public open areas, guests will be in a prime location to experience everything that Whitehaven has to offer. There will be a large number of bedrooms and suites available, as well as great food and drinks facilities for all to enjoy. Plus, visitors will be able to take advantage of the outdoor and sporting activities in the local area. And we’re even floating the idea of self-catering accommodation pods on the water – something a little different, don’t you think? Fancy an office with one of the best coastal views in the North West? Overlooking the marina, the plans we have in place for Mark House offer just that. With over 75,000 square feet of modern, built-for-purpose office, leisure and retail space, we believe Whitehaven offers the perfect destination for incoming companies – those looking for a modern, forward-thinking location with links to nuclear activities as well as science and high-tech businesses in the area. Don’t forget, all these extra workers in the town will bring other benefits – they’ll shop and eat locally, they’ll need accommodation and they’ll want places to socialise after work. As one of the first parts of the planned development, we believe this will act as the catalyst for regeneration across the area. There’s plenty in the plans to get excited about, from a proposed restaurant and entertainment venue at the old bus station site, to improved public areas to explore. Our vision is of a Whitehaven where there are new things to see and do every day. The hotel will bring additional dining and event facilities to the area, as well as conference and function rooms suitable for any celebration. There’s also a proposed roof terrace that will combine a well-appointed spa and gym, and a futuristic sky bar offering fabulous views of our shoreline. 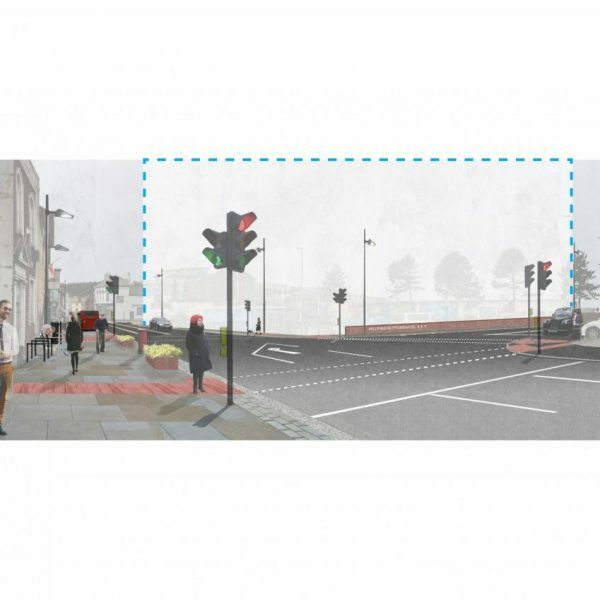 Of course, if the plan is to attract more people into Whitehaven, we need to make sure they’ll have somewhere easily accessible to park when they arrive. With a modern car park planned to the north of the harbour, visitors will find secure, well-lit parking facilities that are perfectly positioned whether they’re here for work or play. 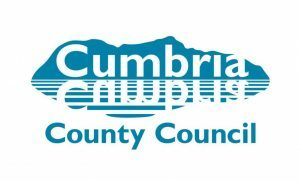 We are also investing £2.5m into the local road infrastructure along with Cumbria County Council and the National Productivity Infrastructure Fund. This will make journeys around the area easier and safer and will improve traffic flows for visitors coming into Whitehaven. Our area is known nationally, if not globally, for its innovative industries and expertise and that’s something we’re committed to building on. Our proposed development on the site of the old bus station will provide the next generation of start-ups with innovative spaces that suit modern ways of working. This bright, energetic, flexible workspace will embrace entrepreneurialism and enterprise, and stimulate small business growth. Not only that, with break-out spaces and meeting facilities, as well as artisan food and drink offerings designed by Cumbria’s respected TV chef, Peter Sidwell, our vision is that it will become an exciting hub for regional innovation and excellence. Contemporary, visually striking and eco-friendly; that’s how we believe the town’s new hotel should be – check out the skybar. 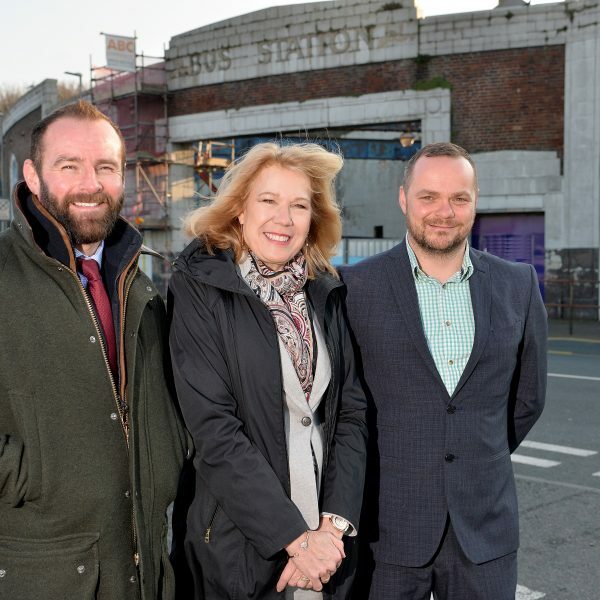 Exciting plans for the old bus station include a café and plenty of space for start-ups to find their feet. Positioned right on the water, the proposed hotel will enjoy stunning views. Would floating accommodation add an extra dimension to our new harbour? We’re giving our development plans the time, consideration and consultation they deserve. Make sure you have your say. To attract ambitious new businesses and investment to the town, we’ll create forward-thinking interior spaces. We’re looking to build bright, contemporary offices that make the most of our unique views. Our plan is for a modern, secure car park in keeping with the surroundings, featuring living walls that reduce CO2 footprint. There are several consultation stages planned and when more details are available, you’ll find them on our news feed. Check back regularly to make sure you keep updated and have your say. At BEC, we create extraordinary communities for people to enjoy living and working in. We’re proud to say that what sets us apart is not just what we do, it’s how we do it. By championing smart, sustainable business practices and never shying away from our environmental responsibilities, we promote attractive, valued developments that have the lowest possible impact on our planet. We take pride in the communities in which we operate, and our people help create real change by: contributing to community schemes and local organisations; only working with suppliers that share our values; and by working in partnership with – and listening to – the local organisations and people who really matter. History runs deep. Whitehaven’s harbour is famed for centuries of trade and seafaring. We understand the importance of this and that’s why we’ve made it our duty to only put forward respectful, positive design proposals. North Shore. Pride of Whitehaven. This £300m investment will boost the local economy, regenerate the harbourside, encourage tourism and so much more. Times change and towns change, and we like to make sure that the change we bring is positive. Regenerating North Shore is an exciting prospect for us and the partners we’re working with; we can clearly see the difference it will make. Our plans are designed to give residents recreational spaces they can enjoy, businesses a reason to move in, young people the motivation to stick around, and to put Whitehaven on the map as a tourist destination of choice. What does this all add up to? More money spent in the area – on local products, activities and businesses – as well as fresh business opportunities, and entertainment and events right on your doorstep. 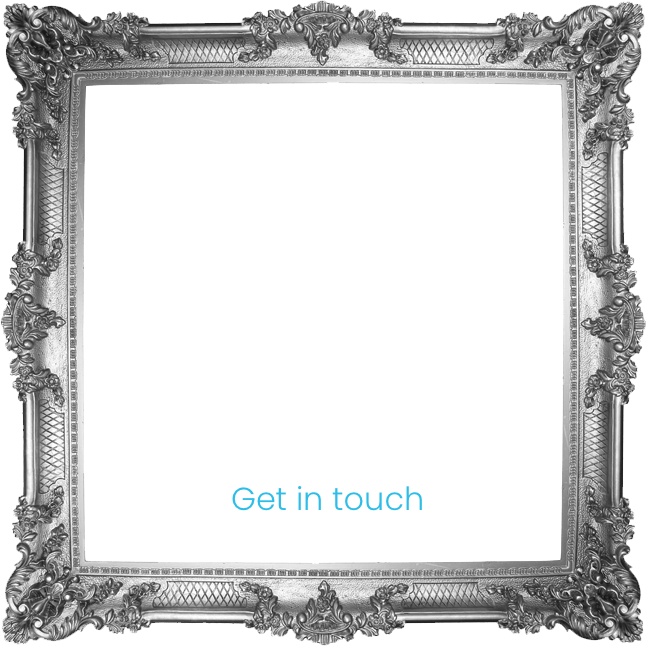 Above all, it’s your North Shore, so get involved and help us create something really special. Make sure you never miss an update. Check back for regular news and views on your North Shore. 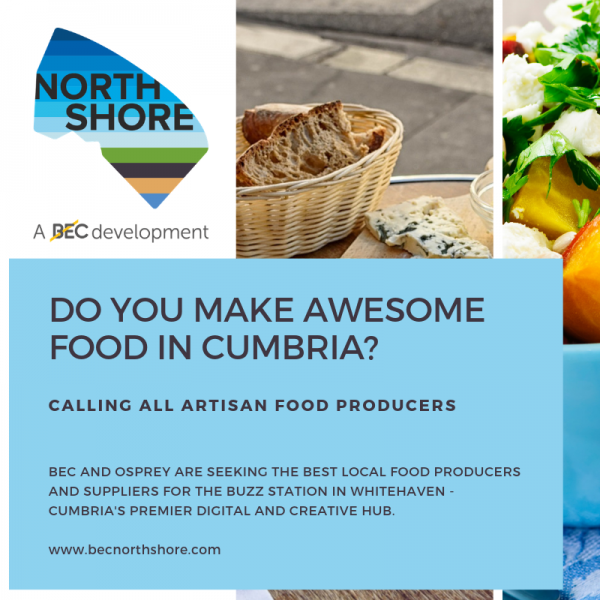 Calling all Cumbria food producers: prospective suppliers sign up list launches for the Buzz Station. to answer a handful of quick questions about the plans for North Shore. You are also welcome to give us your thoughts via the form below.